TESCO IS FACING serious backlash following dozens of complaints from customers that their Christmas turkeys were gone off. Complaints have been surfacing on social media since Christmas Eve about Tesco’s turkeys. Dozens of customers posted complaints that their turkeys had to be thrown in the bin due to a “rancid” smell. Some said they were forced to buy takeaways to replace their Christmas dinner after discovering their spoiled meat. Some customers noticed a bad smell when they began to unwrap their turkeys, while others only realised the meat was spoiled once they had cooked it. Speaking to Sky News, customer Leanne Giddlow explained how she discovered her turkey had gone off. “I got it out to defrost 32 hours beforehand like it recommended on the packaging. Christmas Eve, I put the butter on it, I wrapped it in bacon, put the tinfoil on it and I put it on slow through the night like I usually do,” Giddlow said. 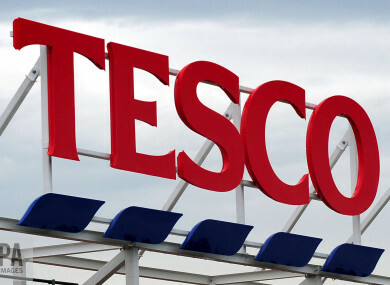 Tesco has issued an apology to those affected, noting that most cases have arisen in the UK. A Tesco Ireland spokesperson has stressed that all turkeys sold in their stores in Ireland are fresh and frozen, 100% Irish and Bord Bia approved. “We’re really pleased with our customer’s feedback on our turkeys and we work closely with our local supplier to ensure our turkeys met the highest standard,” the spokesperson said. There has been a small number of complaints from customers in the UK about British turkeys sold, out of the hundreds of thousands of great turkeys sold by Tesco UK this Christmas, and our colleagues in Tesco UK will now investigate these instances. Email “Tesco apologises after dozens of UK customers complain of 'rancid' Christmas turkeys ”. Feedback on “Tesco apologises after dozens of UK customers complain of 'rancid' Christmas turkeys ”.